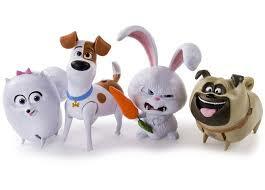 Welcome to TMG: The Secret Life Of Pets Walking Talking TOYS! Our Review! The Secret Life Of Pets Walking Talking TOYS! Our Review! The Secret Life Of Pets Walking Talking TOYS! Presented by Spin Master Toys! puppy style! Gigdet (my favorite) is fast and furious and asks if “what are you doing today” says how luck she is to find you, and is just a total sweat heart! The enraged Snowball is not all sweetness as he looks- he has battle cries like “to the sewers!” and scoots around on the rotator’s on his bottom while carrying his carrot! While lovable Mel shoots out jokes and bounces around- I love him! and his friends has been playing with them since we received them a month ago and they are still going on strong. They have been dropped and flung and can take a lickin and keep on tickin as they say. That alone says a lot about the quality that Spin Master puts into the toys their produce. If your child is a fan- and they will be -of the movie these guys are available at Target, as well as Toys’R Us and retail between $9.99 and $12.99. They will love them! 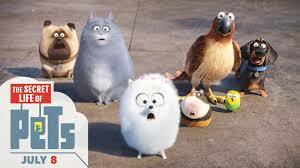 For the full line of secret life of pets toys check out our guide! *We have received these toys for review purposes, however all opinions are our own- if we do not like an item we do not write about them! Our reviews CANNOT be bought!